Choosing which partners to use for different customers, accounts and debts is easier than ever given the advances in automated modelling and analytics that have been deployed in the collections market. Analytics and automation enable lenders to outsource their non-performing accounts in the most effective way. That is good news for those creditors across Europe, many of whom are faced with high volumes of defaulted debts and pressure to reduce those loans. For example, while the European Commission has reported that non-performing loans are falling on average, countries such as Greece, Portugal and Italy retain levels far above the average 4.81% (as of Q1 2018). Increased legislation demands action is taken to cut these and lenders are outsourcing collections earlier in the cycle of default. Skilful use of analytics has transformed the collections process and is an area of ongoing innovation. Systems are now able to handle large volumes of raw data, using automation and machine learning to identify the best predictive models. These models establish which customers are likely to repay and determine the most effective strategies for particular groups. Using analytics in this way allows a lender to take a fresh look at a portfolio and identify the best outsourcing partner for particular customer segments, accounts or debt types. This approach ensures accounts are sent to the partner with the best level of expertise for the circumstances. Not only does this stop firms wasting time on unsuitable approaches, it raises the standard of customer care, enhancing the lender’s reputation and reducing complaints. Some third-party partners may be skilled with early arrears and rehabilitation, others adept at contacting non-payers or handling insolvency situations. Modern systems use analytics and automation to allow the lender to channel accounts to different agencies, making use of different types of expertise and maximizing returns. These systems also offer lenders the opportunity to gauge the effectiveness of their own internal operations, providing clear justification for an outsourcing approach. Lenders can tweak the collections approach over time. The progress and performance of different partners can be tracked, new approaches trialled, and the results assessed. Adjusting to changing institution and market needs is as simple as configuring the new objectives and restarting the process. 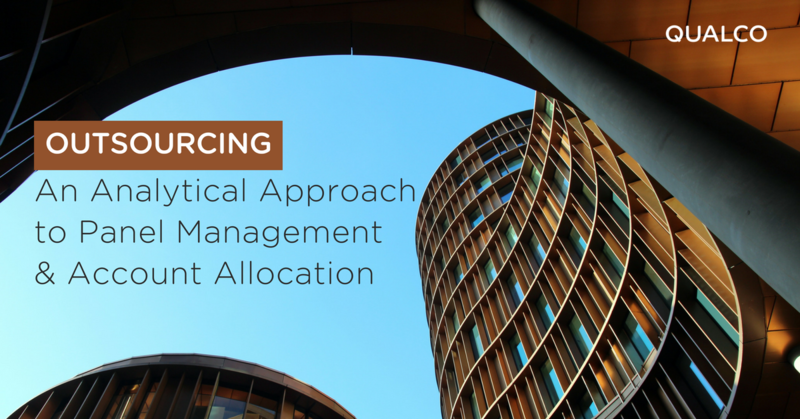 Using an analytical approach to outsourcing at an earlier stage frees internal resources. The lender can direct its own staff to add value in other ways, such as focusing on high balance accounts. Automated data collection technology has significantly reduced the administrative burden of using external firms. Lenders can see at a glance the value added by a panel of third-party collections experts from pre-default through the recovery process. For more information read our E-Guide: The early arrears challenge - Automation, Analytics & Outsourcing.